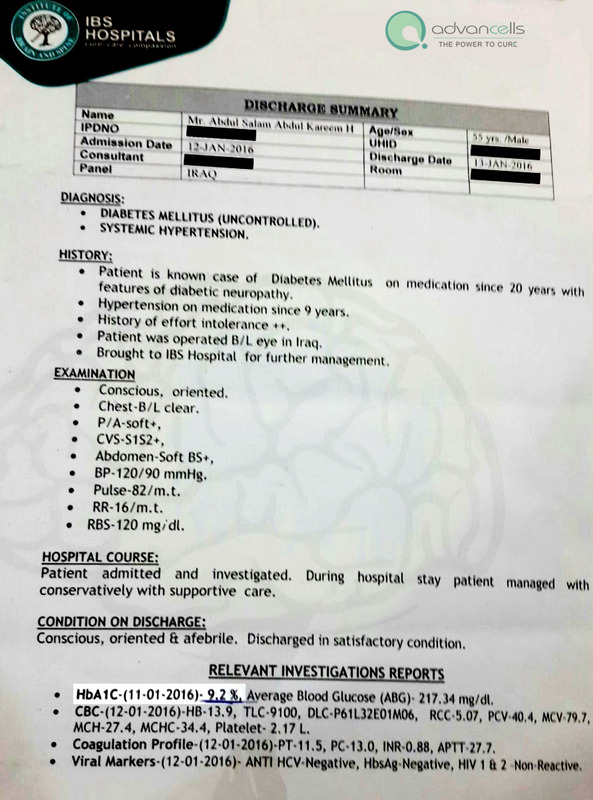 Mr. Abdul Salam 55 year old male was suffering from uncontrolled diabetes mellitus since past 20 years with featured diabetes neuropathy. He was facing a problem with frequent urination, blurred vision, unstable sugar level in blood, fatigue. Besides, the patient had a 9 years old history of hypertension and was on the medications since then. Mr. Abdul searched a lot on the internet about diabetes and other current problems, he was suffering from. During one of his desperate searches, he came across Advancells, providing stem cells based treatment to diabetes. With the help of our team of experts and specialists, Mr. Abdul had undergone expert examinations at one of our associated hospital. 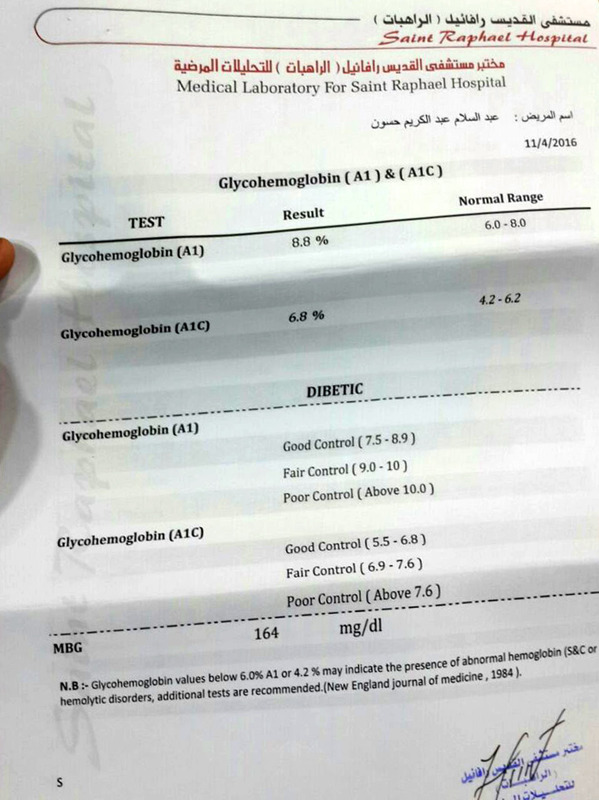 During examinations, his glycosylated hemoglobin (HbA1C) level was found to be 9.2%; indicating poorly controlled diabetes. Finally, as per the expert’s suggestions, Mr. Abdul had undergone stem cells infusions from his own Bone Marrow and Adipose Tissue. The whole treatment was a one day affair and our team was critically supporting Mr. Abdul in the entire procedure and was discharged under satisfactory condition.